Trackmatic™ offers an impeccable vehicle tracking software that gives detailed information about direction, speed, departure time, arrival time and location of your vehicle within a short time frame but is also easy and simple to use. 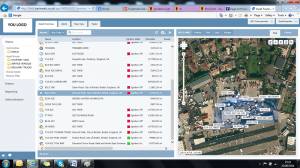 Fleet tracking gives you comprehensive mapping as well as reporting and much more. If you are looking for fleet management in Ireland then choose our fleet management software to obtain the best results. 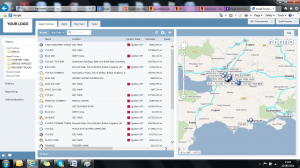 Our fleet tracking software gives all the information in a structured form that allows you to know the vehicle's activity in a detailed but user friendly format. This influential vehicle tracking solution gives all business owners an accurate view through GPS (Global positioning system) to obtain specific reporting details. At Trackmatic™ we are dedicated to provide a very organised fleet solution for mobile vehicle tracking that helps to grow your business. We offer fleet management software and a car tracking solution that can be customised in accordance with your business goals and needs no matter what industry you are in. Our GPS car tracking device works flawlessly for any type of vehicle and takes into account effective monitoring more accurately than others. This GPS vehicle tracking mechanism can be easily installed in any type of vehicle and is regarded as one of the best in the industry for seamless coverage throughout Ireland. 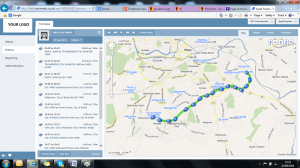 You will get your GPS tracking software after an installation by one of our qualified engineers and we will then customise the software to meet your business needs. Our asset management and fleet maintenance solution enhances fleet productivity by providing all the data to help you make better decisions. It includes inventory tracking, work order management, maintenance scheduling, comprehensive fleet equipment tracking and much more. 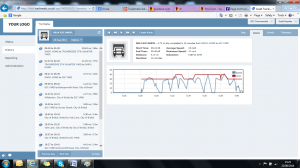 This fleet management software has an adjustable software platform that has the capability to configure this mechanism to meet all the exclusive tracking needs for different types of fleets. This software can be matched with different processes to give you the highest return on investment and will keep you closer to your goals related to fleet management. It is simple and straight forward to use. We provide full training which lasts no more than 30 mins but we are always available if you need our help after you come onboard. 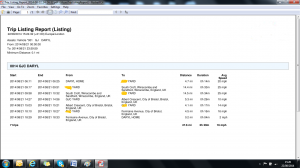 Our mobile vehicle tracking software is simple to use and can be installed easily. It only takes 30 minutes to install. If you need any help or more information about our different types of vehicle tracking software then give us a call today! We will make sure you get all the relevant information along with appropriate options that will work best for your company. We are here to provide a cost saving system that will give you a maximum return on your investment.